Does Malawi turn out to be the new Zimbabwe? In recent times political observers, civil societies and newspapers from both Zimbabwe and Malawi recognized a systematic deterioration of circumstances in Malawi, which was once seen as a rising country. Back then key terms such as Green Revolution used to be on everyone’s lips. The International Community and Malawi’s neighboring states praised the small Southern African county as a role model for good governance, confirming its leadership successful economic as well as agricultural policies. Today people experience disillusionment. Some observers now even compare Malawi with the economically and financially ruined regional neighbor state of Zimbabwe. In Zimbabwe developments were similar. Today the country can be found in an alarming condition. Before it turned out that Zimbabwe would face a chronic economic crisis resulting from irresponsible politics and devastating fiscal policy, the country belonged to one of the aspiring African states. Encouraged by the past freedom fights in Ghana under Kwame Nkrumah or Thomas Sankara in Burkina Faso, the country was seen as yet another country joining the line of successful African liberation movements. It stood for a nation that was led out of long oppression. The whole region of Southern Africa had great hopes when looking at the exemplary development of a newly independent Zimbabwe. But the government missed the opportunity to transfer the independence struggle into a responsible policy serving the people. Although the devastating developments in today’s Zimbabwe are more complex than mentioned above, it can be recognized that a former rising country in terms of economic growth and new political organization sees itself confronted with enormous problems on both political and economic levels. While Malawi’s president Bingu wa Mutharika and Zimbabwe’s senior leader Robert Mugabe cultivate their long-lasting friendship, it is to be feared that the case of the Zimbabwean state failure will be repeated in Malawi. Ongoing changes in Malawi are unmistakable signs. The country faces an economic as well as a political crisis. Last year’s protests organized by several civil societies in Malawi which turned out violent and left 20 people dead were a first expression of people’s dissatisfaction. They showed that the people do not agree with their leader’s policy anymore. The riots in July last year evoked memories of the situation in Zimbabwe in 1998. When Zimbabweans went to the streets to protest against rising costs of foodstuffs they were fought by armed police who fired tear gas into the masses and tried to keep people away from general working strikes. The violent clashes in Malawi’s biggest cities last year truly remind of those bloody riots in Zimbabwe at the end of the last century. 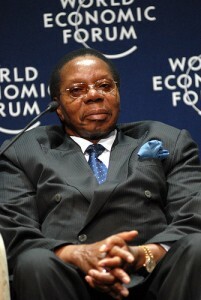 However, it is far from certain how things will develop in Malawi this year. Only one thing is for sure: The Malawian government needs to take action against a lack of foreign currencies so that fuel bemomes affordable again. Malawi’s economy is depending to a high extend on the transport system which cannot function without fuel. Moreover political participation from a politically committed social society needs to be made possible. The government will have to stop the systematic exclusion of opposition politicians. When still in the beginning of his presidency, Bingu wa Mutharika had a dream, a dream of a prospering and rising Malawi. To let this dream become true Malawi cannot become the next Zimbabwe in Southern Africa. 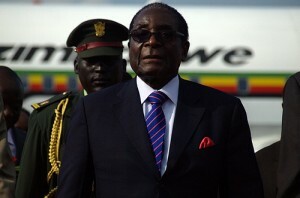 Book review: Catastrophe – What went wrong in Zimbabwe?